There are key strategies that make for a successful package in retail. We learned this early in our careers as creative professionals. Short cut on some of the steps or ignoring data can lead to failure. 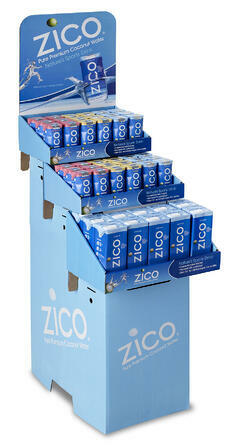 Creating a new product is an investment and packaging should be considered as a valuable investment. A great product can fail just because of bad packaging. It could fail because it’s not created to appeal to target audience even though it wins numerous creative awards. And it will fail because research on competitors and market demographics were not done or were flat out ignored. A great package is more than a great design no matter how many design awards it wins! It requires time and effort before starting design. Over 30 years of experience continue to prove our beliefs. There are specific steps that must be done and we’ve created a unique process that keeps us ‘on-track’ and helps teach our clients what we need from them. And it answers the first question many ask during first contact: ‘What is involved in getting a retail product package?’ Most people think it‘s simple and quick. I can do a quick design but I won’t promise it’s the right solution if I don’t have all the information I know I need. Whether it’s the first time or not, many people don’t know what is needed to get the best solution. And, I‘m sorry to say this is also true of many copywriters and graphic designers. Why do I say that? Well, a package is different from a brochure or website both in the mechanics (creating the die line) to considering the audience and how it is used. It’s most like a direct response mailer, yet many professionals and brand owners approach package creation as “brand enhancement” that has no affect on instilling need to buy. Consider driving past a billboard. You only have a couple seconds to figure out what it’s saying and determine if it’s of interest. A product package has similar conditions. You must assume shoppers aren’t in the store looking for your product. They are on their way to another area and you have 3 seconds to stop them in their tracks. Your package has to visibly attract their attention. That’s why our set of procedures is important in setting your package up for success. 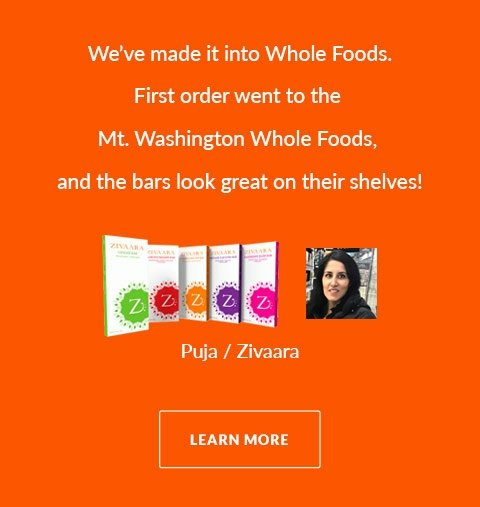 This step by step process enables us to create effective, eye-catching designs with content that move product off the shelf and into the cart. The first step is an initial conversation with us - Its Free! (why wouldn’t you call?). During that discussion, we want to hear about your objectives - the what, how and where of product sales. Why did you create the product? Who is the product for and why? Dimensions and weight? What’s your retail price and what do you know about the competition? These and other questions will allow us to recommend types of packages that could support your goals. From that call, we can make initial suggestions on the type of package that would be suitable (paperboard, plastic, stand up pouch, labels, corrugate). The next step would be to provide an estimate of cost for creative time and materials to complete a package design that is ready for the printer. In most cases, we can provide ballpark printing cost based on that suggested package style and quantity. We then have a follow up call or meeting to review the proposal where we can clarify points and provide advise if the estimate raises additional points of need. We take the time to answer your questions, provide additional information if needed, so you have everything you need to make a decision. And we, obviously, hope the decision is to engage us to create your professional package design. • Product details: features, benefits. The what, where and whys. • Your likes and dislikes of other packaging designs. • What is the history of your product? Has it been sold before? • Do you have prototypes or are you in production? We have an online creative form that makes it easy to provide the information to us in one place so everyone involved has the same details and goals. When the information is written down it isn’t diluted or interpreted to mean something else. Communication is essential to success so the more information the better our understanding of the project and options. Another factor unique to Catalpha, is you work from the start with a Creative Director, there isn’t an account rep between you and the creative person managing your project. We’re not a typical agency with layers between our clients and creative department. In order to create the package we need a product in hand most importantly to create the proper size package. We work with its size, color and weight. It allows us to accurately size the package. It’s important to know your market and impart those facts to us. Knowing your market means the sales channels, competition, how you fit in. You created your product because you saw a niche that wasn’t being filled and your friends have been supportive. It’s not wise to stop there. Prove your assumptions as facts beyond your experiences. Assuming facts and data will lead you down the wrong path. This is one way to see competition live. Walk the aisles, take pictures, compare store selection and layout. Get the feel for the environment that your package needs to stand out in. Too often packages are designed in a sterile environment without consideration of the competition or how busy the aisle is. 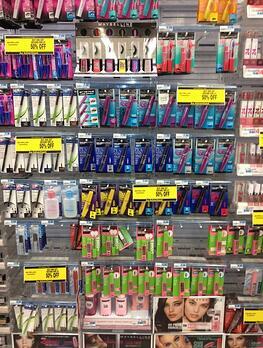 Images of store aisles will be an advantage in directing design efforts and selecting designs. We are a global economy and Google makes it easy to see competitors outside of your life experiences. This can be shocking if you didn’t do this prior to product development. I’ve been in situations where clients have to revise their branding strategy. Now the creativity and fun starts. The whole process of creating a package with Catalpha is collaborative and there are many points where you are involved and kept aware of progress. All your valuable information and direction is used in the design phase. It’s actually a creative phase where copy, structure and visuals are created, 2 to 3 concepts are developed for your review. This work we do includes consideration of how the package will be filled, sealed and the general life cycle of the package. Package type is finalized in this step. We may offer one or more types of packages: tuck flap box, a multi-panel box, header on a bag or clamshell. The choice is always driven by the manufacturing cost of the package and end consumer’s value impression of the package style. The structure determines the packaging material. Production quantity influences the choice of package material, as well. Corrugate and plastic packaging (custom clamshells and blisters) have higher minimum production runs than a 24pt carton. There are alternatives when plastic is the best solution in the form of “stock” clamshells and bags. But we always go over those facts with the estimates. Large products require special attention. Large boxes have special printing considerations and are expensive in small quantities because they need to use corrugate. which has been surprising to our clients because it’s not considered a premium stock. Our designs will “feature” your brand. It must be visually commanding to build brand recognition because of size, position and color. Color and it’s use in the design is also influenced by the competitive landscape. An image will be large and bold to describe product - typically it is a beauty of the product and sometimes it is in an environment when needed. In-use images are most ties used smaller within areas of benefit feature communication. The design style must also consider the target audience - a style they respond to. What attracts a teen does not work for a senior. We also love working within brand guidelines and support many established brands creating the design following or extending the format for a new line. Fonts and photos are integral in creating the design. The style of font should match or compliment the logo and preferably be limited to two styles (but as many font weights as needed to express the messages). The photo style can be unique and the angles of the photography should be selected to best show product. The product is the hero not the person using the product. I call images that feature people “lifestyle” and they are NOT appropriate for packages. Photography is VERY important to the packaging process, especially food packaging. It is our recommendation that images be professionally photographed. We can create ‘placement photos’ in our layouts to show how we want a photo shot for biggest impact. Consider waiting to get photography taken until package design is started so there are guidelines for the images needed. 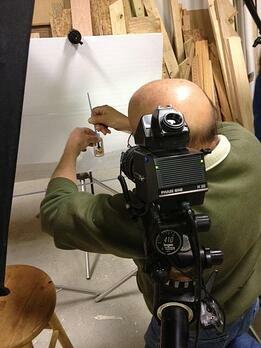 It will direct the photographer on style, camera position and cropping needs of the design. Photography costs are influenced by a few factors: Does it include a model? Will it need a specific location? Can it be done in a studio? Are multiple angles needed? Will the photos require retouching (most do)? Custom photography is always provided as a separate cost in our estimates. Stock photography is a great resource and useful for many designs in describing product use. We can even retouch your product into a stock image which can be cost effective alternative to a location shoot. It depends on usage and stock agency licensing rules. Each photo company has their own license rules. It is important that you read and understand the usage guidelines and comply with them. Copy is essential to fully captivating the consumer. The visual stops them and then the copy and visuals need to work together to keep the attention and move the shopper to purchase. Much thought is given to messaging and distilling the USP down to what will motivate a customer to pick your package up for more detail. NOT EVERYTHING will or should be on the front of the package. A cluttered package is an unread package. We glean a lot of text from what you provide in your Creative Brief and during conversations. When you provide text, please ere on the side of giving us more information than you think we may need. There are items that must be on every package and are based on the product itself as some products have legal copy requirements based on FDA or FCC, etc. They all need UPC, directions, manufacturer or distributor disclosures, some require warnings. We suggest that you have legal consultation to advise what must be on the package and in the instructions to protect you and your consumer. Our clients are responsible for providing us with the required legal content. It‘s easy to know some of those requirement by looking at competitors packages but they are not always up to date. For instance states have their own regulations such as California’s Prop 65. Food products all require Nutritional facts, ingredients, allergen statement and other disclaimers depending on the product. Nutritional facts, ingredients and required copy are obtained by contracting with an independent food testing & analysis labs. You’ve given us the final approval on the artwork and printing estimate. The next step is to have the printer prepare a proof. Many only prepare a PDF proof from the artwork that was created for you and supplied to them. 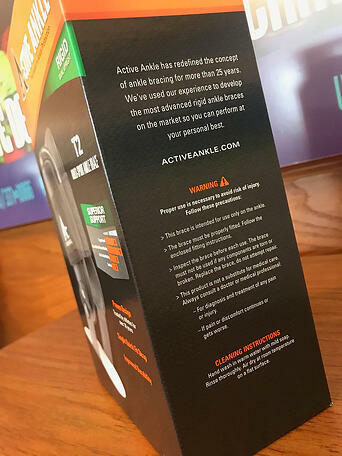 But if color is critical, which it usually is, a color accurate print proof or a print proof on the actual stock will be created to show how your package color will look. 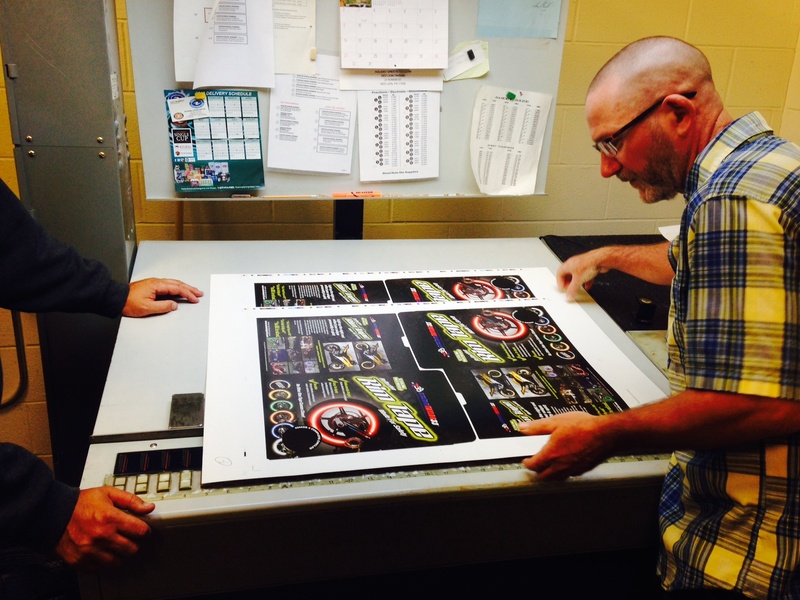 Once approved, the printer will use your approved proof to match color while its on press. Once it is printed, it will then go on to the die cutting, glueing and scoring department. Using a custom made cutting die, your packages will be cut and scored for folding. Then on to glueing which is required for most boxes and cartons. Plastic clamshell or blister packaging is another animal. This will require having the printer involved much earlier in the process. Creating a mold to fit your product for either clamshell or blister. Once a proof clamshell or blister is produced and approved, all pieces ordered will be made. Insert cards and backer cards created to fit into the plastic structure will need to be produced as well. These follow a similar process described above but is done simultaneously with the plastic. Those insert cards or backer cards are then sealed with your product together to create the final package. Flexible stand up pouch printing is yet another type of popular package able to hold many products from food to dry goods. If this is your printing route, the process again is similar except you’ll have more material and sizing options to consider while designing such as clear, gloss or matte laminates, zip closures, hang hole styles and even a desgassing valve. Total length of time to print your package is based on many factors including the type of printing, specialty processes, and even shipping time. 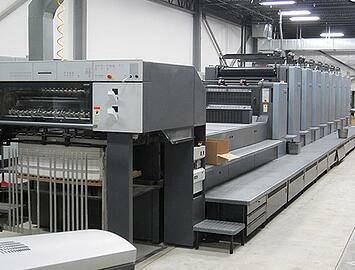 The print process timing can range from anywhere from 3 - 6 weeks. Most times packages are delivered to our clients 'flat'. Meaning that they will arrive printed, die cut, scored and glued but will require the client to do the final pack out, with the exception of clamshells or blisters. Pack out is folding the package, tucking the ends, same with inserts if used, inserting your product and sealing the package for delivery to store or customer. This process is easy to do for small quantities but doing 1,000s or 10s of 1,000s can be quite a task. 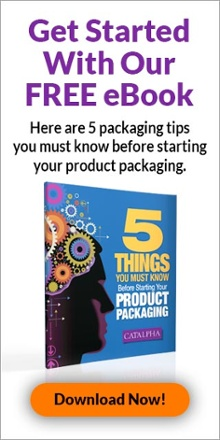 Make sure you are prepared for that phase of your packaging. You most likely will need to also pack your package into a Master Cases for shipment. When your quantities get into the 10,000+ range your may want to involve a fulfillment house to help with your pack out. You’ll also need to consider the space you need to house these packages and do your fulfillment. When packages are delivered make sure you tell us if you have a shipping dock or will require a truck with lift gate. As you can tell there is a lot involved in creating a package. As you see it’s not as simple as probably expected. And I hope you haven’t lost interest because of my long explanation. These are just some of the details as there are issues I haven’t taken up that are specific to industry, product and style of package. Our concepts will be aimed at the consumer motivators and priorities of influence - what are their pain points and primary benefits they need. 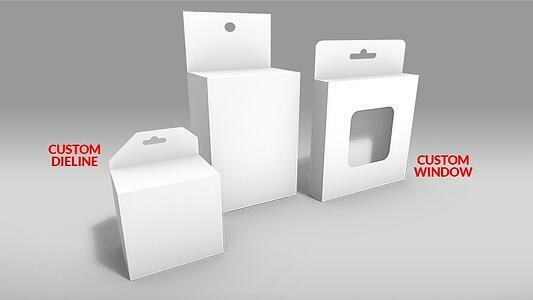 The initial presentation will provide you with 2 to 3 concepts for packaging. Many times it will be of just the package fronts. 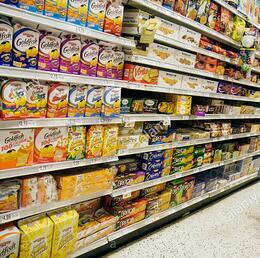 We may render the designs into an image of a store aisle as well. This is the time to select the winning design and provide feedback. This is part of the collaborative process where your choice and feedback help us to refine the selection and its content. The proposal will have outlined the number of simple revisions that are included - typically it is two - so it’s important to have everyone’s comments before having us start refining and completing the package. Two rounds of minor edits before we get to an approved package for printing is typically all that is needed and maintains creative budget in our proposal. Other considerations that will be discussed while going through the package process is whether there is a need master packs, store POP (counter displays, floor or side-wing displays) or a website? These may not need to be tackled at the same time as packaging but conversations can be part of our consultation that can assist you in planning when to start them and whether they impact photoshoot plans or other aspects of the project. We are experienced in developing these other marketing tools used by most packaged brands and knowledgeable of the logistical impacts. We are happy to share our knowledge because it helps our clients achieve their goals and serves to show our value to them. I hope this helps in your understanding of what is involved in creating a professional packaging design and, most importantly, how we work with our clients. This is only a fraction of the thoughts and actions in our creative process. 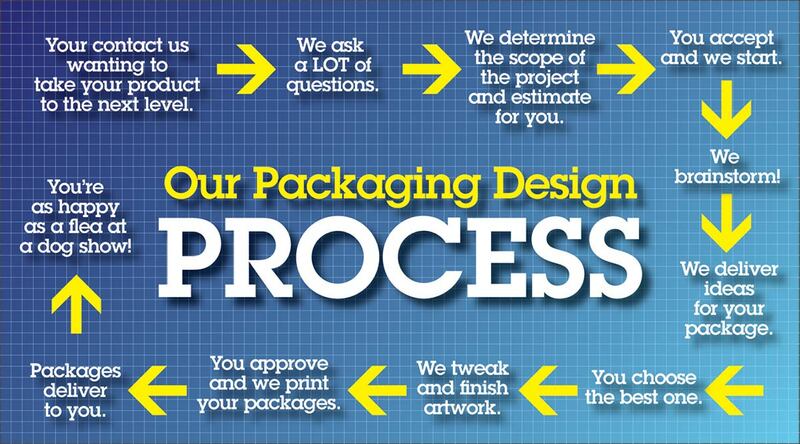 We can help you through the packaging process from concept to design, through feedback & updates to final production. 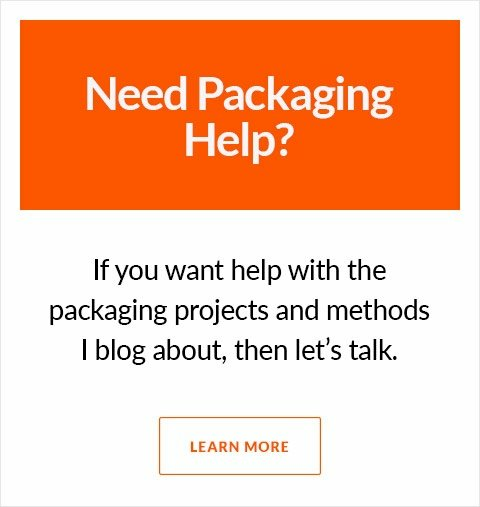 • How Much Does Packaging Design Cost?